The Pacific Coast League (PCL) is a Minor League Baseball league operating in the Western, Midwestern, and Southeastern United States. Along with the International League and the Mexican League, it is one of three leagues playing at the Triple-A level, which is one grade below Major League Baseball. It is officially named the Pacific Coast League of Professional Baseball Clubs, Inc. Its headquarters are in Round Rock, Texas. The Pacific Coast League was formed on December 29, 1902, when officials from the California State League (1899–1902) met in San Francisco for the purpose of expanding the league beyond California. Six franchises were granted. These were the Los Angeles Angels, Oakland Oaks, Portland Beavers, Sacramento Senators, San Francisco Seals, and Seattle Indians. A dispute over territories owned by the Pacific Northwest League, in which the PCL had placed franchises, and the PCL's allowing blacklisted players to compete led to the National Association (Minor League Baseball) labeling the PCL as an outlaw league. The mild climate of the West Coast, especially California, allowed the league to play longer seasons, sometimes starting in late February and ending as late as the beginning of December. During the 1905 season the San Francisco Seals set the all-time PCL record by playing 230 games. Teams regularly played between 170 and 200 games in a season until the late 1950s. This allowed players, who were often career minor leaguers, to hone their skills, earn an extra month or two of pay, and reduce the need to find off-season work. These longer seasons gave owners the opportunity to generate more revenue. Another outcome was that a number of the all-time minor league records for season statistical totals are held by players from the PCL. 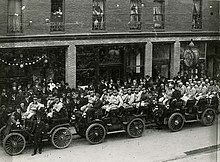 The inaugural 1903 season, which consisted of over 200 scheduled games for each team, began on March 26. The Los Angeles Angels finished the season in first place with a 133–78 (.630) record, making them the first league champions. In 1904, National Association President Patrick T. Powers brokered terms with the PCL, clearing it of its outlaw status and designating it as a Class A league. In 1909, the league classification was raised to Double-A. In 1919, with the earlier addition of the Salt Lake Bees and Vernon Tigers, league membership reached eight teams for the first time. While the league had experienced little commercial success up to this point, the 1920s were a turning point which saw increased attendance and teams fielding star players. The Great Depression of the 1930s resulted in a lower quality of play due to the league's salary reduction. Still, a number of top stars, including Joe DiMaggio, Ted Williams, Bobby Doerr, and Ox Eckhardt, competed on PCL teams that decade. Also helping attendance was the introduction of night games. At Sacramento's Moreing Field, the Sacramento Solons and the Oakland Oaks played the first night baseball game, five years before any major league night game, on June 10, 1930. The Hollywood Stars and San Diego Padres were added to the league in the 1930s as well. During the first half of the 20th century, the Pacific Coast League developed into one of the premier regional baseball leagues. The cities enfranchised by the other two high-minor leagues, the International League and the American Association, were generally coordinated geographically with the major leagues, but such was not the case with the PCL. With no major league baseball team existing west of St. Louis, the PCL was unrivaled for American west coast baseball. Although it was never recognized as a true major league, its quality of play was considered very high. Drawing from a strong pool of talent in the area, the PCL produced many outstanding players, including such future major-league Hall of Famers as Joe DiMaggio, Ted Williams, Tony Lazzeri, Paul Waner, Earl Averill, Bobby Doerr, Joe Gordon, and Ernie Lombardi. Amid success experienced after World War II, league President Pants Rowland began to envision the PCL as a third major league. During 1945 the league voted to become a major league. However, the American League and National League were uninterested in allowing it to join their ranks. While many PCL players went on to play in the major leagues, teams in the league were often successful enough that they could offer competitive salaries to avoid being outbid for their players' services. Some players made a career out of the minor leagues. One of the better known was Frank Shellenback, whose major league pitching career was brief, but who compiled a record PCL total of 295 wins against 178 losses. 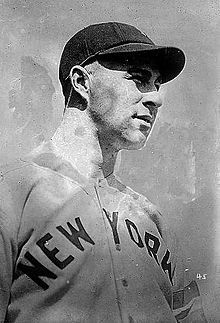 (It should be mentioned, however, that Shellenback's long career in the PCL was largely due to his use of the spitball, banned in the major leagues in 1920, not the competitive salaries offered by PCL clubs.) Many former major league players came to the PCL to finish their careers after their time in the majors had ended. The PCL began to spread out across the nation, and internationally, in the 1950s. Previously, Salt Lake City has been the eastern-most city in the league. In 1956, the Oakland Oaks relocated to Canada where they became the Vancouver Mounties, the circuit's first international team. Two years later, the Los Angeles Angels moved to become the Spokane Indians and the San Francisco Seals became the Phoenix Giants. The league continued to expand throughout the country in the 1960s. Clubs representing new cities during the decade included the Dallas Rangers, Denver Bears, Hawaii Islanders, Indianapolis Indians, Oklahoma City 89ers, Tacoma/Phoenix Giants, and Tucson Toros. From 1964 to 1968 the PCL swelled to twelve teams. The Albuquerque Dukes were one of several teams to begin play in the 1970s. Several new teams arrived in the 1980s, such as the Calgary Cannons, Colorado Springs Sky Sox, Edmonton Trappers, and Las Vegas Stars, but the league began to stabilize as franchise relocations became less frequent. In 1998, the Pacific Coast League took on five teams from the disbanding American Association, which had operated in the Midwest, and a sixth franchise was added to the league as an expansion team, thus providing the scheduling convenience of an even number of teams. The addition of the Iowa Cubs, Nashville Sounds, Oklahoma RedHawks, Omaha Royals, New Orleans Zephyrs, and the expansion Memphis Redbirds grew the league to an all-time-high 16 clubs. The league presently stretches from Western Washington to Middle Tennessee. 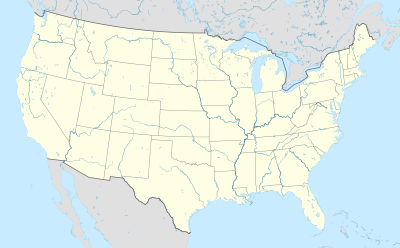 Despite its name, the league now has as many teams east of the Mississippi (Memphis, Nashville, and New Orleans) as it does near the Pacific coast (Fresno, Sacramento, and Tacoma). The league's presence in Canada diminished and ended in the early 2000s, as the Calgary Cannons moved to Albuquerque, New Mexico, to become the Albuquerque Isotopes in 2003, and the Edmonton Trappers, the circuit's final Canadian team moved to Round Rock in 2005. Of the cities represented in the PCL in its heyday, only Salt Lake City and Sacramento remain, and even these are represented by franchises different from those that originally called these cities home. In 2005, the Pacific Coast League became the first minor league ever to achieve a season attendance of over 7 million. In 2007, league attendance reached an all-time high of 7,420,095. In 2019, the team previously known as the Colorado Springs Sky Sox will relocate to San Antonio, Texas, where they will continue play in the PCL as the San Antonio Missions, which had competed in the Double-A Texas League. This move will be accompanied by realignment in the American Conference. Nashville and Memphis will move to the Northern Division, and Oklahoma City and San Antonio will compete in the Southern Division. In a further move, the New Orleans Baby Cakes have requested permission to relocate to Wichita, Kansas as early as 2020. The league is divided into two conferences, the American Conference and the Pacific Conference. Each conference is divided into a Northern Division and a Southern Division. Each conference consists of eight teams evenly divided into four-team divisions. Each club has 140 games scheduled per season. Of these, 112 games are played against conference opponents, with 48 against teams in their division and 64 against teams in the other division. The other 28 games are played against teams in the opposing conference. These interconference games are organized as eight, three-or-four-game series. A team will play one opposite conference's division's teams at home and the other's on the road. Play alternates each year so that interconference opponents will have played each other at home and on the road over the span of two seasons. The season typically begins during the first week of April and concludes in the first week of September on Labor Day. Other interleague play occurs during the Triple-A All-Star Game. Traditionally, the game has taken place on the day after the mid-summer Major League Baseball All-Star Game. The game is meant to mark a symbolic halfway-point in the season (though not the mathematical halfway-point which, for most seasons, is usually one month prior). During the All-Star break, no regular-season games are scheduled for two days before the All-Star Game itself. The Pacific Coast League plays by the same rules listed in the Official Baseball Rules published by Major League Baseball. One exception is the use of Designated hitter (DH). Whereas the application of the DH rule in Major League Baseball is determined by the identity of the home team, with the rules of the home team's league applying to both teams, PCL pitchers hit when both clubs are National League affiliates and they have agreed to have their pitchers hit. Two National League affiliated clubs may agree to use the DH instead. The reason for this is that as players move up and get closer to reaching the majors, teams prefer to have the rules follow (as closely as possible) those of the major leagues. The DH is always used when one or both teams are American League affiliates. Other differences lie in the use of professional baseball's pace-of-play initiatives which began to be implemented in 2015. A 15-second pitch clock is used when no runners are on base; 20 seconds are allowed with runners present. Each half extra inning begins with a runner on second base. Teams are limited to five mound visits during a nine-inning game. Pitchers are required to face a minimum of three consecutive batters until the side is retired or the pitcher becomes injured and is unable to continue playing. League champions have been determined by different means since the Pacific Coast League's formation in 1903. With few exceptions, most PCL champions through 1927 were simply the regular season pennant winners. However, a few seasons during this time did feature a postseason championship series to crown a champion. It wasn't until the mid-1930s that the league instituted regular postseason play that was only sporadically cancelled due to financial problems or other factors. The San Francisco Seals have won 14 PCL championships, the most among all teams in the league, followed by the Los Angeles Angels (12) and the Albuquerque Dukes and Portland Beavers (8). Among active PCL franchises, the Tacoma Rainiers have won 7 championships, the most in the league, followed by the Sacramento River Cats and Memphis Redbirds (4). Lefty O'Doul won the first Pacific Coast League MVP Award in 1927. The Most Valuable Player Award, first awarded in 1927, is given to honor the best player in the league. The award is voted on by team managers, general managers, broadcasters, and media representatives from around the league, as are all PCL year-end awards. The Pitcher of the Year Award, first awarded in 2001, serves to recognize the league's best pitcher. Pitchers were eligible to win the MVP award from 1927 to 2000 as no award was designated solely for pitchers. The Rookie of the Year Award, created in 1998, is given to the best player with no prior PCL experience. The Manager of the Year Award, started in 1967, is given to the league's top manager. The Executive of the Year Award, first awarded in 1974, honors team executives who have achieved success in the area of attendance figures, promotions, and community involvement. The Pacific Coast League Hall of Fame was established in 1942 to honor league players, managers, and executives who have made significant contributions to the league's ideals. The Hall of Fame inducted its first class of 12 men in 1943. The Hall became dormant after 1957, but was revived in 2003, the PCL's centennial season. Today, the Hall of Fame Committee seeks to recognize worthy players throughout the league's history who have made contributions to the league. New members are elected before the start of each season. ^ "Contact Us". Pacific Coast League. Retrieved April 10, 2017. ^ Bauer, Carlos (March 30, 2003). "The Formation of the Pacific Coast League". Pacific Coast League. Retrieved April 9, 2017. ^ "Frank Shellenback Statistics and History". Baseball-Reference.com. 2012. Retrieved May 15, 2012. ^ "Frank Shellenback – BR Bullpen". Baseball-Reference.com. 2012. Retrieved May 15, 2012. ^ "Pacific Coast League: Attendance". milb.com. Minor League Baseball. Retrieved September 17, 2015. ^ "It's official: Wichita confirms Baby Cakes filed for request to relocate". WDSU. September 6, 2018. Retrieved September 6, 2018. ^ "2017 Pacific Coast League Schedule Revealed". milb.com. Minor League Baseball. December 21, 2016. Retrieved April 10, 2017. ^ "2018 Nashville Sounds Season Schedule" (PDF). Nashville Sounds. Minor League Baseball. 2017. Retrieved October 30, 2017. ^ "Pacific Coast League Playoff Procedures". Pacific Coast League. Retrieved April 10, 2017. ^ "MiLB.com Frequently Asked Questions". The Official Site of Minor League Baseball. 2012. Retrieved April 10, 2017. ^ a b "MiLB announces pace-of-play rules for 2019". MILB.com. March 29, 2019. Retrieved March 29, 2019. ^ "Pacific Coast League (AAA) Encyclopedia and History". Baseball Reference. Sports Reference LLC. Retrieved August 8, 2017. ^ Nothaft, Mark (January 3, 2017). "What happened to the Phoenix Firebirds?". Arizona Republic. Retrieved July 6, 2017. ^ "PCL approves Sidewinders sale; Reno gets site". The Arizona Daily Star. July 13, 2007. Retrieved February 4, 2008. ^ "Former Presidents". Pacific Coast League. Minor League Baseball. Retrieved April 7, 2017. ^ Bauer, Carlos. "The Formation of the Pacific Coast League". Pacific Coast League. Minor League Baseball. Retrieved April 7, 2017. ^ "Past Champions". Pacific Coast League. Minor League Baseball. Retrieved August 21, 2014. ^ a b "Post-Season Play in the Pacific Coast League". Triple-A Baseball. Retrieved August 21, 2014. ^ a b c d e f "Pacific Coast League Award Winners". Pacific Coast League. Retrieved April 10, 2017. ^ "Pacific Coast League Hall of Fame". Pacific Coast League. Minor League Baseball. Retrieved March 3, 2015.